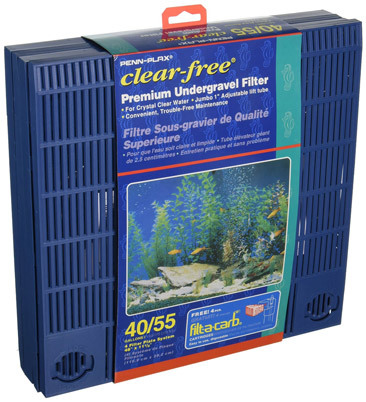 An undergravel filter is an excellent solution if you own a non-demanding aquarium. Even though they’re not a popular choice, undergravel filters can provide quality biological and mechanical filtration if used properly. When you take their low-cost and low-maintenance into account, they may actually suit your needs better than any other filter type. In this review, we reveal our top 5 best undergravel filter systems that offer the best value and quality. Our best pick. 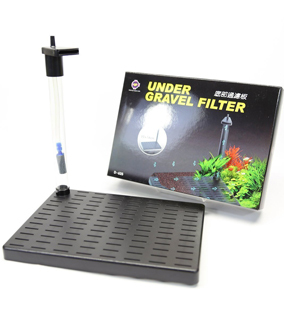 This undergravel filter offers good biological filtration while being easy to place, and easy to assemble. 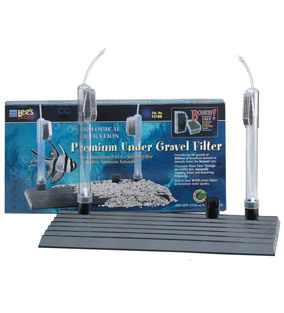 One of Lee’s best undergravel filtration systems. Extremely sturdy multi-plate design is capable of handling the pressure of a larger aquarium. Good price-to-quality ratio. Sturdy and durable. Optional flow-through setup for use with a powerhead. Our best choice for fish bowls. Small and compact. 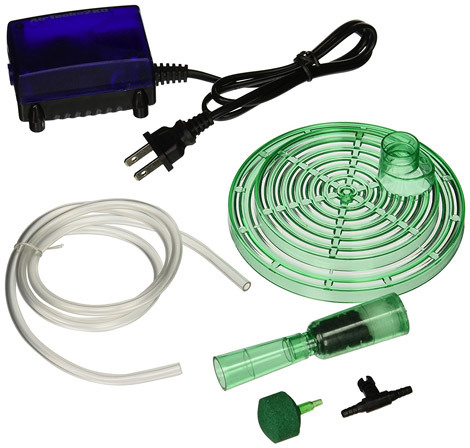 Includes an air pump, an air stone, and a replacement filter cartridge. Compact and ideal for smaller fish tanks. Easy set-up and placement. Undergravel filters usually consist of two parts – the plates and the lift tubing. The plates are placed underneath the gravel. Water circulates through the gravel, which houses various beneficial bacteria and acts as a mechanical filter. The lift tubes then carry the filtered water upwards, where it’s circulated back into the aquarium. 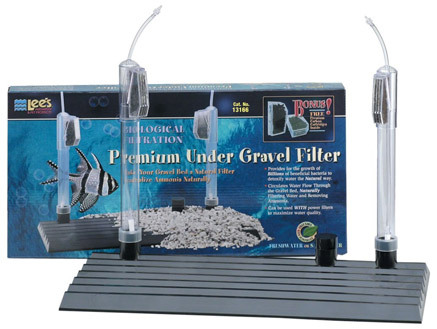 Most undergravel filters require powerheads or aquarium air pumps to drive the water. When should I buy an undergravel filter? Gravel filtration systems have been seeing less and less use throughout the years. The main reason behind this is the superior filtration offered by various HOB and canister filters on the market. Despite this, undergravel filters have their advantages. 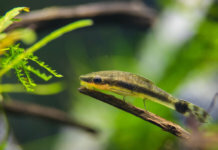 They’re an ideal choice for smaller, non-demanding aquariums, as well as breeding tanks and quarantine tanks. 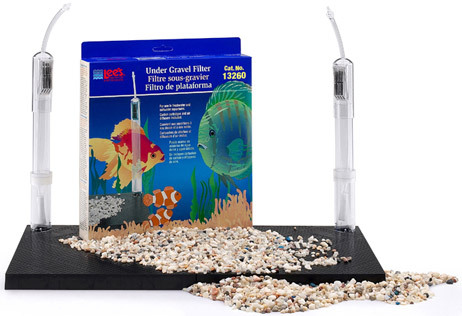 An undergravel filter offers the necessary biological filtration while being conveniently out of sight. They’re easy to set up, and require much less maintenance than a canister filter (although you’ll have to clean the gravel regularly). Finally, most undergravel filters are cheap. They’re one of the cheapest and simplest filtration systems available. Even if you have a better system, running a gravel filter as a backup is usually worth it. 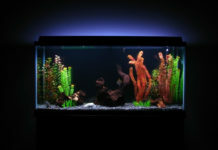 Whether it’s filters or heaters, Penn Plax usually produces quality aquarium supplies. Their “Premium” undergravel filter is no exception. It’s easy to assemble, and quite powerful – this gravel filter comes in several sizes, fitting most fish tanks up to 50 gallons. The 40/50 gallon model is comprised of several plates, ensuring easy placement. Like most undergravel filters, it requires a powerhead or an air pump to work. For the best results, we recommend getting a powerful air pump suitable for the size of your aquarium. 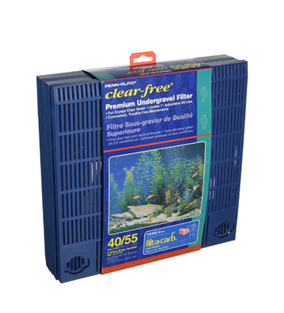 A well-designed, sturdy filtration system for large aquariums. While more expensive than most competitors, we believe that this undergravel filter is worth the price tag. It’s a great choice if you’re looking for a backup to use in combination with a power filter, or if you have a quarantine/breeding tank that doesn’t require a lot of filtration. The thick multi-plate construction is resistant to breaks and cracks, while the large plate surface eliminates the need for more plates. The zig-zag design ensures a larger surface area, which is always useful for biological filtration – as the beneficial bacteria have more surface to grow on. The economical little sibling of Lee’s Premium Filter. A solid choice if you own a non-demanding fish tank and want quality biological filtration without spending a fortune. Similarly to Lee’s Premium Filter, the “Original” model is made from sturdy, crack-resistant plastic. 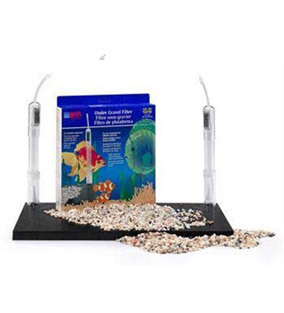 You should be able to find it in several sizes, made for small and large aquariums alike. The multi-plate construction ensures easy assembly. This filter features an optional flow-through setup for use with a powerhead. 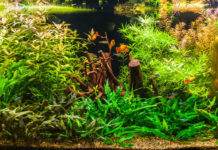 Undergravel filters are usually ideal for fish bowls – small, simple systems that don’t allow space for a sponge or a HOB filter. Unfortunately, most gravel filters aren’t compatible, due to their square shape and size. Penn Plax’s Fishbowl Filter is a great choice for fish bowls and tiny cylindrical tanks in general. The plate is adjustable, and fits any bowl with an opening of 4 inches or above. 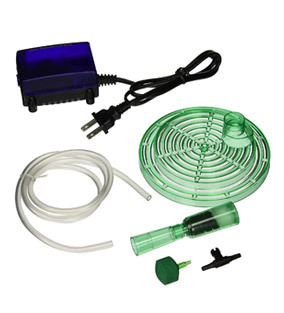 This kit comes with a replacement filter cartridge, an air stone, and even a tiny air pump. This is a big bonus, especially when you consider the economical price. The only issue we had with this undergravel filter was its flow; considering that it was made for extremely small spaces, the flow feels a bit too powerful. 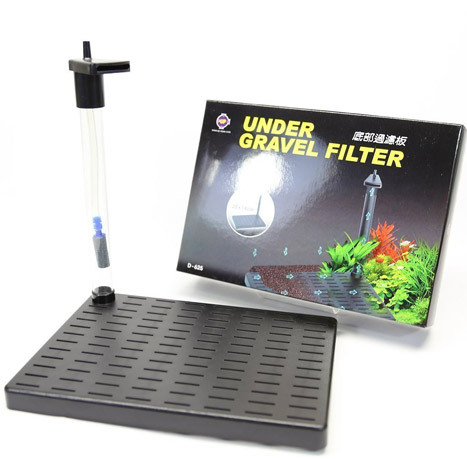 Despite being at the bottom of our list, this undergravel filter is still a good choice; especially if you own a small aquarium that only has a few gallons. The extremely small footprint ensures easy placement, even in the smallest aquariums. It’s 7.8″ long and 5.5″ wide. Like all undergravel filters, it requires an air pump or a powerhead to work. Because of its small size range, we suggest a weak pump. For instance, Tetra’s Whisper 10 Gallon Air Pump is a good choice.